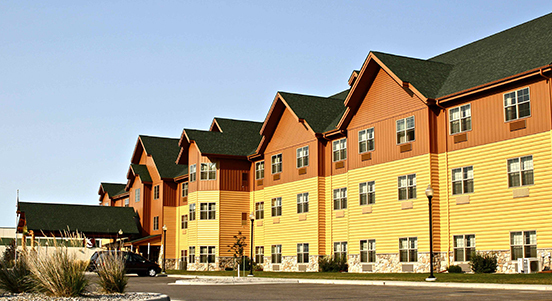 Welcome to the AmericInn Lodge & Suites Fargo South — 45th Street (formerly the Arbuckle Lodge) in Fargo, ND. We know there’s no place like home, but with our large comfortable rooms, the AmericInn Fargo South will feel like your home away from home. A charming log canopy welcomes you to the smoke-free AmericInn. Inside, the first thing you’ll notice is a three-story lobby with a stone fireplace. The colors are warm, patterned after the setting sun. Here, old-fashioned friendliness meets western charm. Our service is personal. Our attitude is welcoming. And our rooms? Let’s just say we drew our inspiration from a prairie horizon. 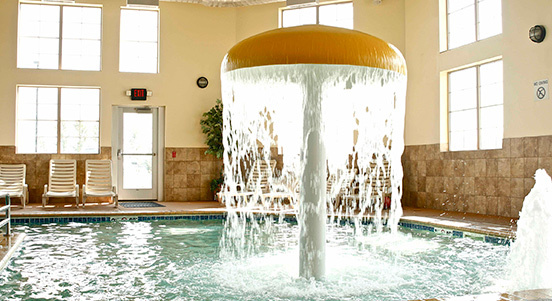 Enjoy our Splash-Bay Adventure Pool area, fitness center, free wi-fi and of course our amazing hot home-style breakfast each morning.